More than 140 top arnis athletes from different provinces nationwide saw action in the Battle of Champions Tournament held at the Le Pavillon in Pasay City over the weekend. Winners of the event will compose the Philippine national team that will compete in the 2019 Southeast Asian Games. 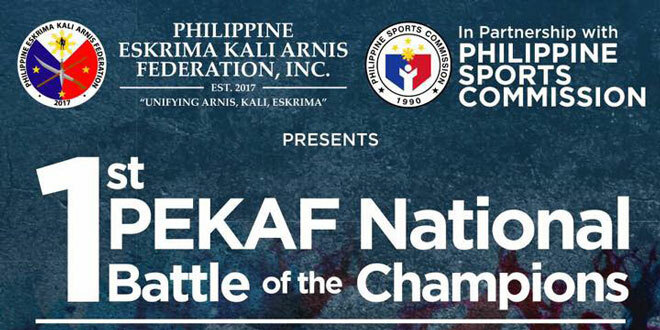 According to Philippine Eskrima Kali Arnis Federation (Pekaf) president Sen. Juan Miguel Zubiri, the tournament is very crucial in the formation of the national squad as they aim to harvest the most medals in the sport that the Filipinos can claim their own.